Could I ask for more? Great idea? where can i purchase one? Glad you liked it.Well its not into production yet. Looking for manufacturers right now. 1)What would it feel like to lie on rubber on a hot day? sweaty? 2)What is stopping the upper layer from collapsing? Nothing is holding the length tort. 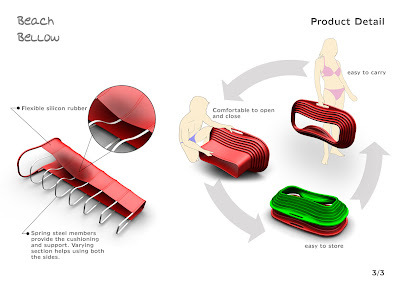 3)I think you would need to at least double the number of metal springs for comfortable support. 4)To avoid the silicon being cut from shells/stones and the metal springs rusting you might run in to weight issues. Thanks Pauric for being critical. I have taken a note of the issues and would look into it, to tweak the design. Did you find a manufacturer? Where and for how much can I get it? Are these already for sale? 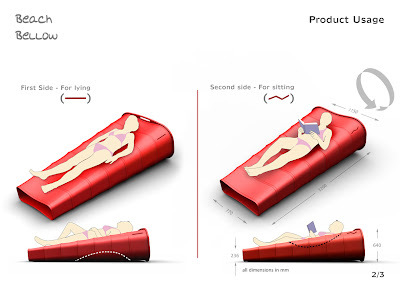 Loved the idea and want to buy it! Nice article..interesting to read. I hope you update your blog regularly.. i will visit again. this looks awesome!! can't wait to see it in stores!! 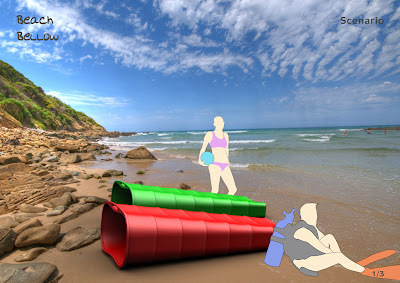 just a little idea based on the questions one guy posted...a fabric cover that can also be used as a bag for the rest of the things you'll be bringing to the beach with you...that way the bottom will be protected from anything that would cut it and it won't be hot from the sun beating down on it while you're in the water! !